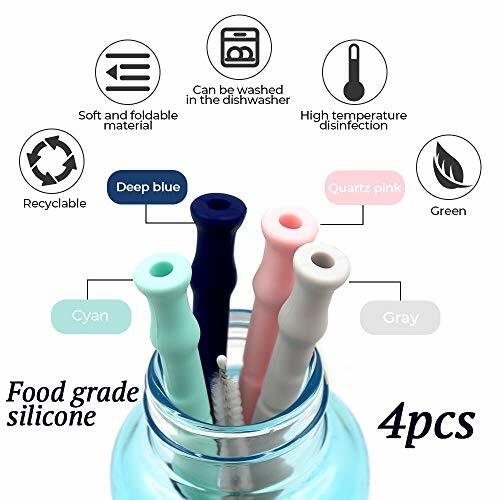 Nhà cung cấp: Do Lai Mi - giá Amazon: 9.99$ - shipping rates and return policy. 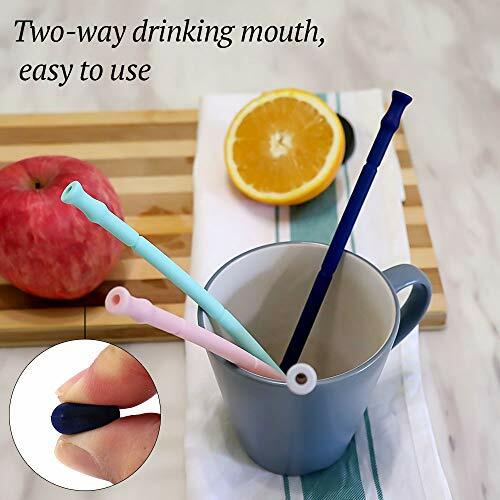 âž¹Healthy and Durable : The straw is made of food-grade foldable silicone,could be cycle used and heat-resistant.BPA Free,both adults and children can use it safely. âž¹4 Color and Fashion Design : Gray,Cyan,Deep Blue and Quartz Pink.4 color satisfy most people's choice.Stylish foldable design make you different from others. 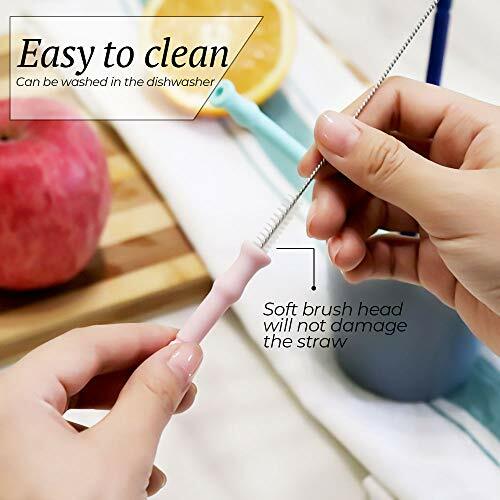 âž¹Easy to Clean : The kit contains a soft brush,specially designed for this product, which can easily clean used straws, and the product also supports cleaning in the dishwasher.It's really convenient. 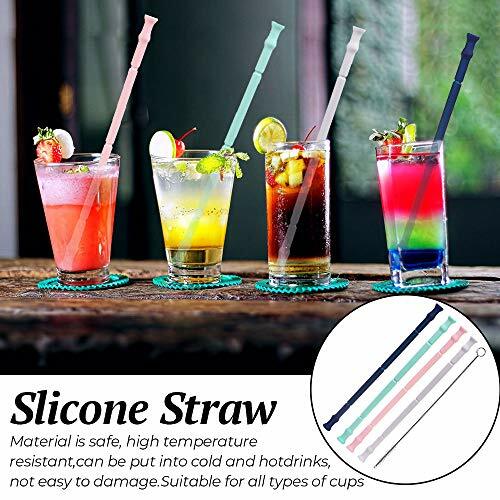 âž¹Suitable for Many Occasions : Whether it's a family party or a outdoor picnic,the silicone straws are portable,You can carry multiple items in our fancy boxes or carry a straw with you.Enjoy your healthy and convenient life. 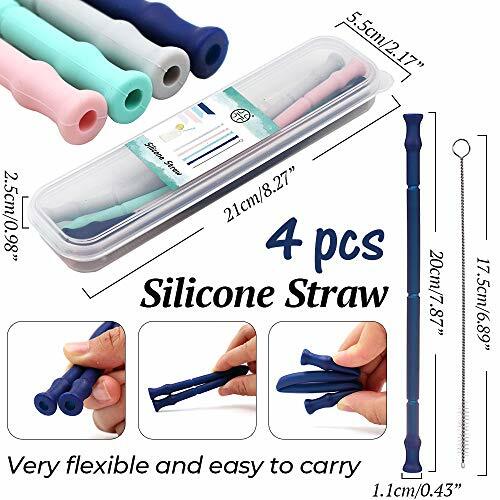 âž¹New Choice of Environmental Protection Concept : Plastic straws are destroying ocean habitats and increasing landfill. 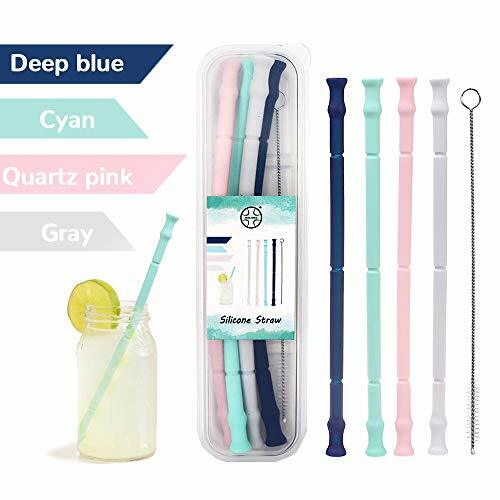 Make better choices to protect our planet by reducing plastic waste and using our silicone reusable drinking straws instead of harmful disposable plastic straws.